Media and Contents: 108 plastic parts in grey six parts in clear plastic; 22 polythene caps; markings for three vehicles. Advantages: Accurate shapes; fast and easy build; good level of detail; fascinating vehicle; articulating joint; includes clear parts and driver figure.. Disadvantages: A few details missing from the front of the body. There is no doubt about the amazing climbing and off-road abilities of the Gama Goat, but it was finicky to maintain, noisy to drive and slow. It seems that the fondest memories that many of its US Army and Marines crews have is waving them goodbye! 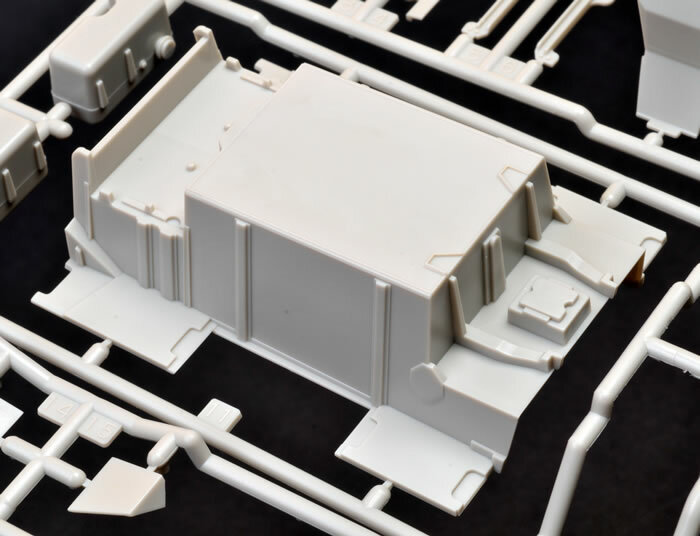 Fortunately, we modellers don’t have to worry about reliability and noise in 1:35 scale, so we can focus on the details and the camouflage of this fascinating vehicle. 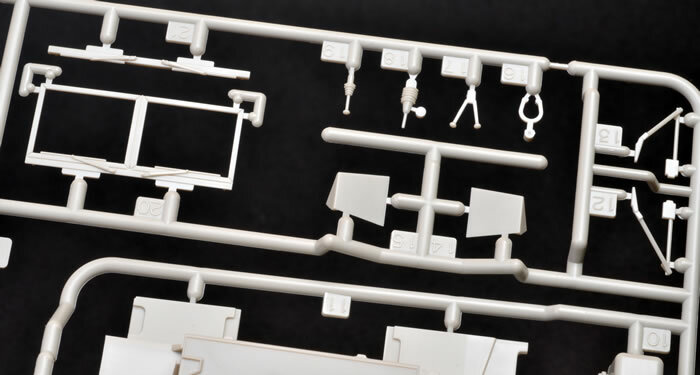 Tamiya’s brand new 1:35 scale Gama Goat comprises 108 parts in grey plastic, six parts in clear, 22 polythene caps in three different sizes and markings for three vehicles. 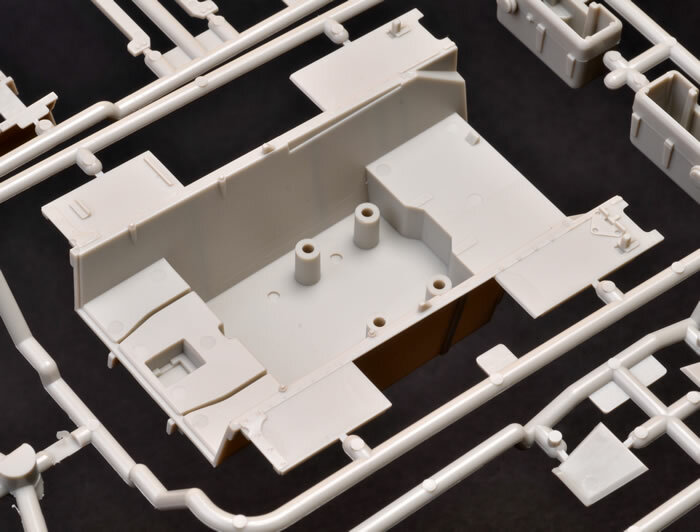 My sample is an early test shot, so the arrangement of parts on the sprue and the colour of the plastic may be different to the general release kit. The first impression is that this is quite a simple kit. The complex suspension is broken down into a relatively small number of parts; the wheels are uncomplicated affairs each with a single main section incorporating the tyre and hub, an insert for the rear and a poly cap to press it onto the axle; and the body and trailer are both straightforward. Despite the modest parts count, the intricacy of this odd six-wheeled vehicle is still well represented. 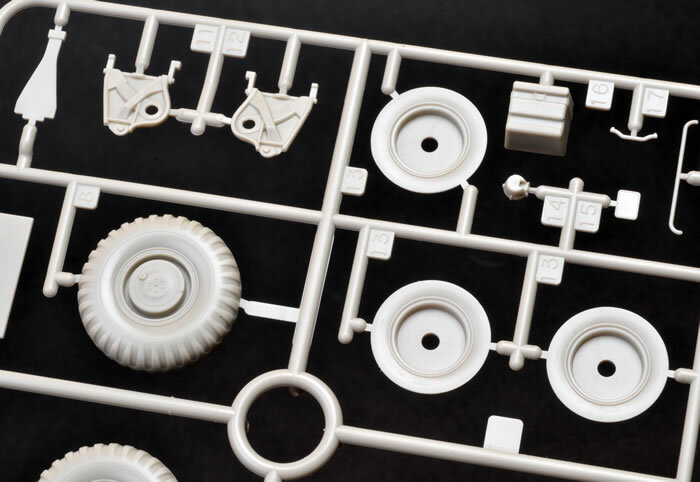 Moulding quality is up to Tamiya’s usual high standards. I did not see any ejector pin circles or other moulding artefacts that would be visible when the model was complete. Detail is good. The various levers and handles are depicted inside the forward body and there is nice fabric texture on the seats. 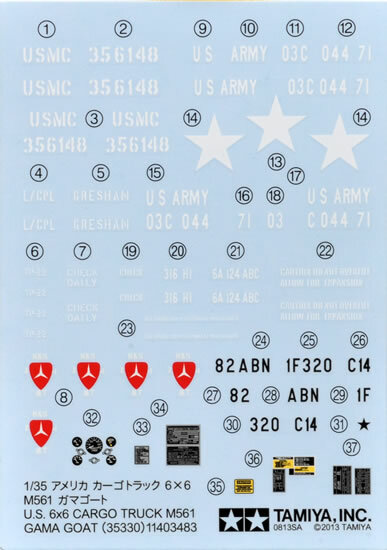 Instrument dials and placards are provided as decals. These are very effective. Vent detail is moulded onto the engine hood, which looks quite convincing after a dark weathering wash. 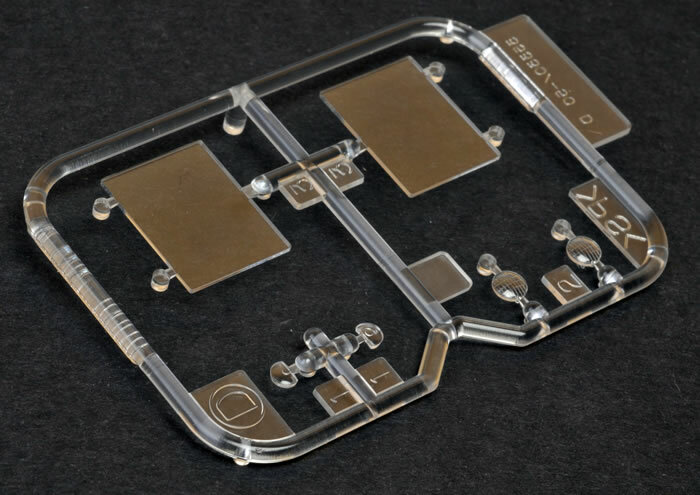 It is nice to see that clear parts are supplied for the headlight lenses and front indicators, as well as the windscreen. However, some details are missing. The box top illustration and historical photos show that a ring and post was fitted on both front corners of the body, and a filler cap was present in front of the driver. 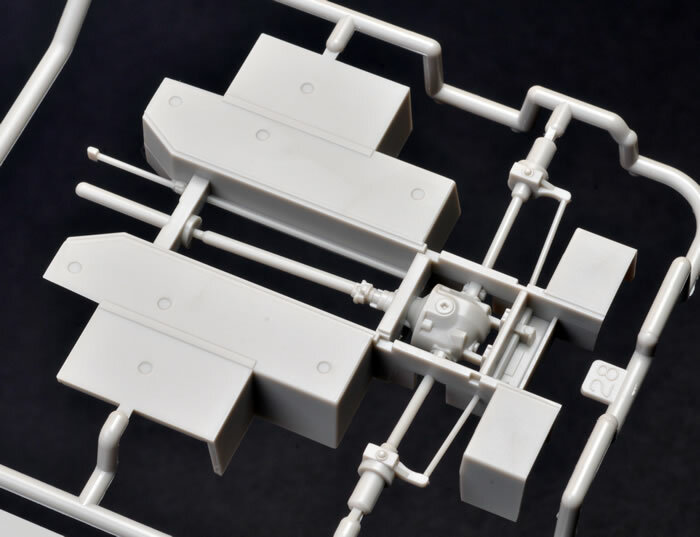 Tamiya does not provide a hook for the end of the tow cable or towing eyes either. The tailgate is a separate part that may be posed open without too much trouble. Plastic pins allow the joint between the cab and the trailer to be workable in pitch, but it is not designed to roll. 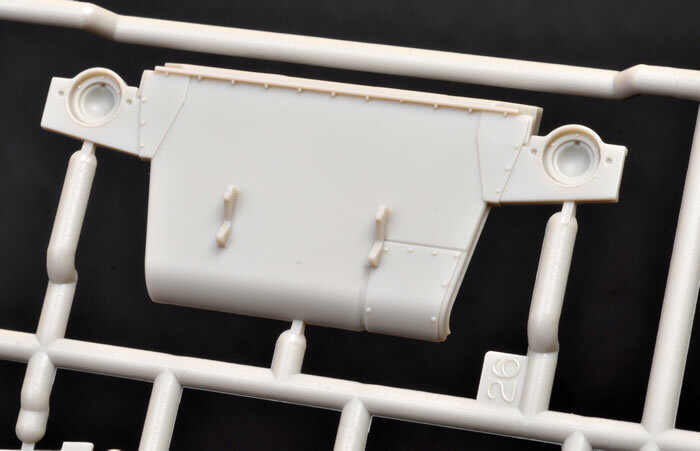 A polythene cap is built into the joint to allow the front and rear halves of the vehicle to be brought together after painting and weathering. The steering is fixed in the straight-ahead position. Options include the full windscreen with clear plastic panes, or the cut-down version often seen on vehicles in front line service. Markings are offered for three vehicles – two in Olive Drab and one in the four-colour MERDC (Mobility Equipment Research and Development Center) camouflage. The latter was a Gama Goat deployed to Grenada in 1983 as part of Operation Urgent Fury. 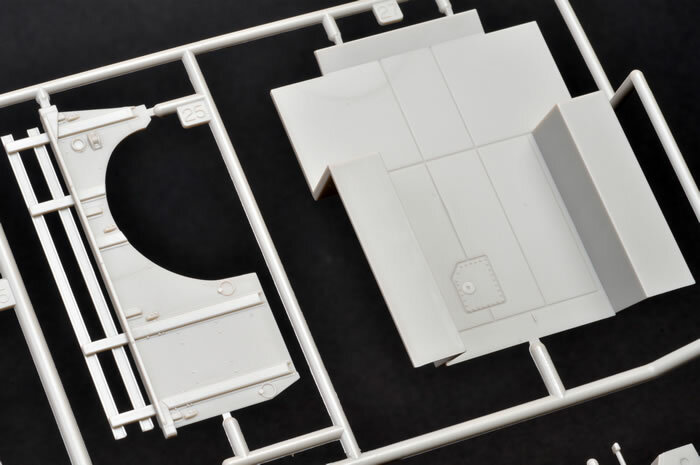 The Gama Goat is an unusual subject to appear in kit form, but this is not the first time that Tamiya has surprised us. 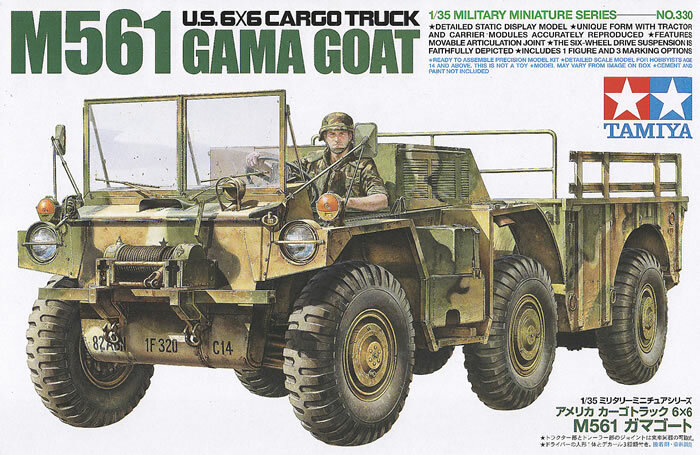 Tamiya’s 1:35 scale Gama Goat is a pleasure to build and offers lots of interesting potential for vignettes and dioramas, especially considering the recent re-release with new Operation Urgent Fury markings, figures and accessories. Thanks to The Hobby Company Limited for the sample.